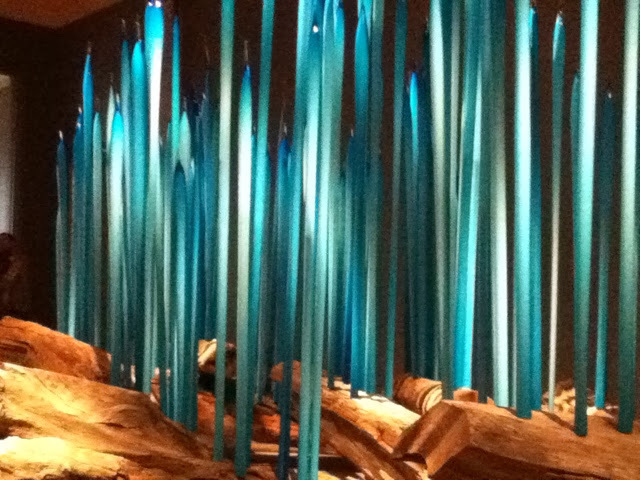 MONTREAL TRAVEL MUSE : Chihuly - Absolutely Breathtaking! The Montreal Museum of Fine Arts seems to always be packed on Sundays- no matter what. But today the line-ups were incredible. 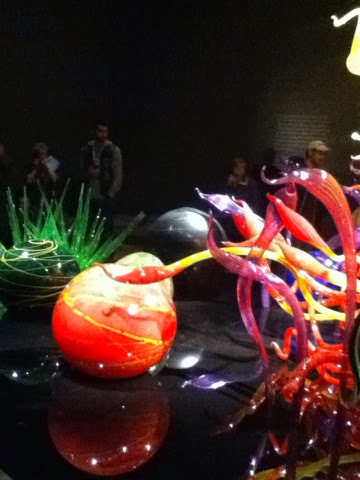 I had been dying to see Dale Chihuly's exhibit since this summer already- but never got the chance. On this sunny Sunday afternoon here in Montreal, my youngest daughter and I decided it was now or never if we wanted to see what so many have been raving about( this extended exhibition ends next Sunday, October 27th). We skipped the line-up, and this is where I must add that a VIP pass is so worth it. The place was packed when we got there at 2pm and we thought we might be there forever- but with the pass we were in and out in no time -and totally mesmerized. 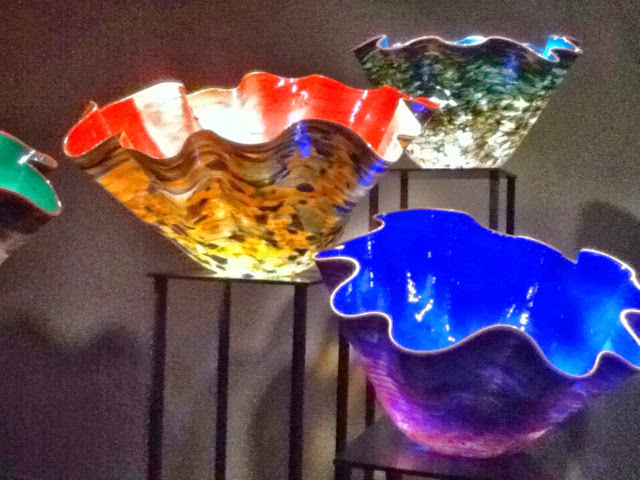 Dale Chihuly has transformed what was once solely a well-kept secret Venetian art form into brilliant and sensuous modern art that has gone beyond the imaginable. Illuminated crystals floating the air and taking form and shape into that which only the imagination can possess. 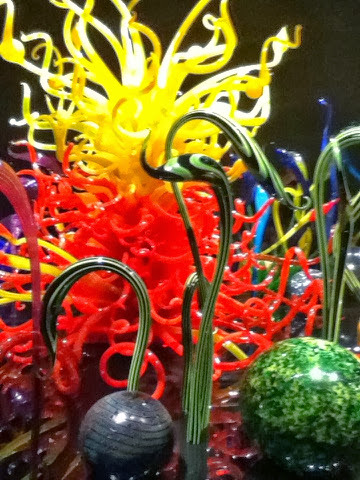 Who would have thought that blown glass could explode into this?! 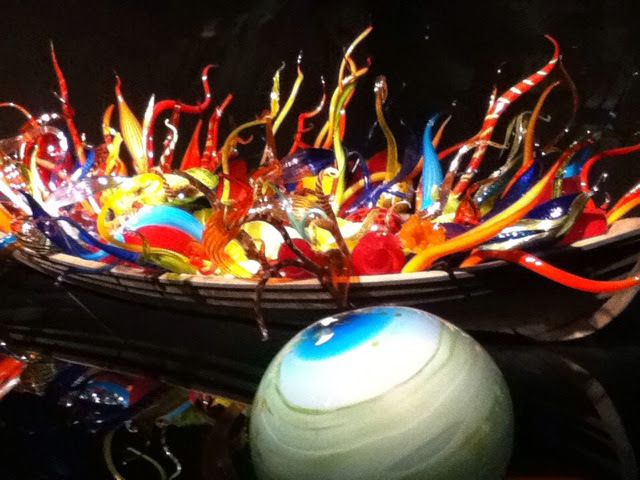 Breathtaking is possibly the only word to describe these masterpieces.